Where can I stay? 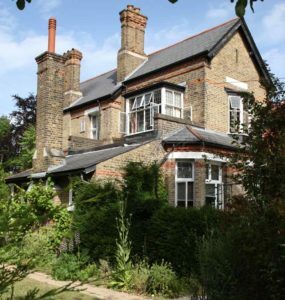 According to your budget and preferences you may request accommodation in Ealing Abbey house for guests where we have a limited number of rooms. Recommended donation is £35.00 per person per night (student rate full board) at Ealing Abbey House for Guests. Accommodation to be allocated on a first-come first-served basis. Hence, early booking is recommended. To reserve a room in the Ealing Abbey House for Guests please make a non-refundable downpayment of £200. You may arrange your own accommodation in a rented apartment or nearby hostel or with friends. You this web-page of airbnb helpful to find a local bed and breakfast. First you must register with them, then you can search for a single or shared room in the locality (here is a sample search). The earlier you book, the cheaper the prices.